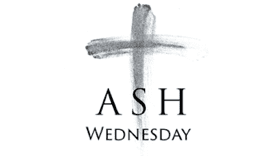 Everyone is invited to join LOGOS for Dinner on Ash Wednesday before the 7:00 p.m. worship service. Dinner will begin at 5:45 p.m. in the MPR. Come join in the fellowship with the LOGOS group. There will be a signup sheet on the bulletin board. We hope you will join us. If you have any questions, please contact Andrea Tukin by phone at 566-8633 or via email at [email protected].